Did you think that British food was all about roast beef and fish ‘n’ chips? Here’s the chance to find out what’s cooking in London’s restaurants. Get ready for Taste of London, a twice-yearly event that showcases the best of the capital’s restaurants and top chefs. 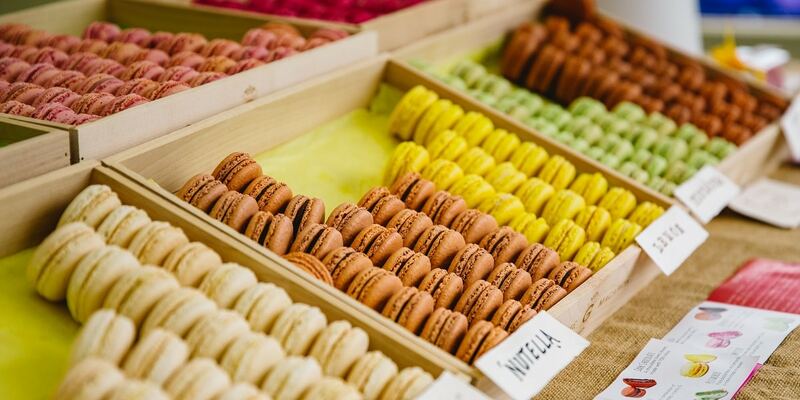 Stop by for live cooking demos, masterclasses, baking workshops and some gourmet retail therapy at a boutique food market with over 200 artisan stalls. The flagship June event (19-23 June 2019) is in the heart of London, in Regent’s Park. In 2018, some of London’s top restaurants, including Club Gascon, Sartoria and Bombay Bustle, fed us. Our favourites were the taster size signature dishes – a great tool for planning subsequent restaurant visits in the capital. Dishes cost between £3-£7, excluding each restaurant’s Taste Exclusive Dish which were slightly higher. Choose from an afternoon or evening 4-hour session (5 on a Sunday) leaving plenty of time for ambling and tasting. So what are you waiting for? Join 55,000 food-loving visitors all in search of the best flavours available in London and a glimpse of their favourite masterchef! Getting there: Regent’s Park, Great Portland Street or Baker Street stations. The festival takes place in Regent’s Park’s Outer Circle.